Owners, Allen and Elana Silberstein, have been passionate pet owners since their childhood. Alan’s brother found an old Doberman, which his family accepted into their home and nursed back to health. It turned out that Pontie, the Doberman, was a retired police dog whose adopting owners had mistreated. Pontie would lie in front of Alan’s stroller and guard him as a child. Throughout our lives, my wife and I have had dogs, cats, a rabbit, and I even had a young baboon, which I had to give away. When our daughter was born, our Chow Chow, who we adopted from the pound, would lie under her crib and not allow strangers to get close. Our Maltese crossed with a poodle, which we also adopted from the pound, was a loved member of our family for 17 years. We presently have three dogs that we love and cherish. 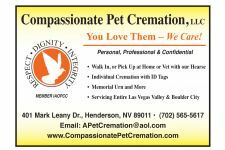 We are here to help you through this difficult time and will treat you and your pets with the care and respect that is deserved.